Project to open rare and valuable collection to the world is finally up and running. Little things slow down the process of putting 40 million pages of ancient manuscripts in the Vatican Library online: gold or silver in the illuminations, bindings that disintegrate if you open them, getting the synergy right. “It is important to realize if there is gold or silver in a manuscript. That requires a very particular process because the light will be different,” said Luciano Ammenti, who is in charge of IT at the Vatican and the project to digitize the storied library’s 82,000 manuscripts. The project, finally up and running a year after its announcement, uses an armada of equipment to capture the vast range of pages amassed by the Vatican over five or six centuries into one of the world’s most valuable collection of books and manuscripts. “It is the right synergy between sensors, optics and lighting, together with the highest possible resolution,” the Vatican website explained. 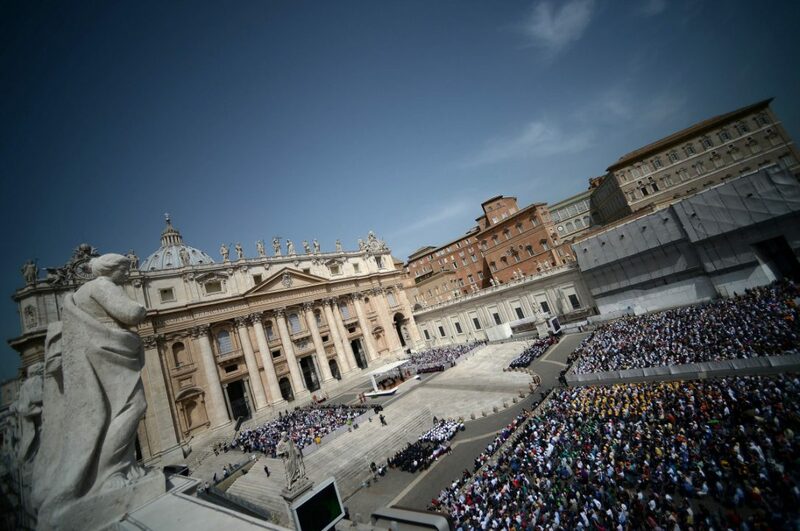 With 2.8 petabytes of storage from global data company EMC, the Vatican Library had to decide where to begin. In all, said Ammenti, the collection will take 43 petabytes of storage. “This is our dream, to give all the world access to our manuscripts,” Ammenti said. “People often think the Vatican Library is a place where secrets are kept,” said Timothy Janz, scriptor graecus or specialist in Greek paleography, philology and history. Once digitization opens the library to the world, rather than just to 200 scholars at a time in Rome, “many things that remain to be discovered will be found,” said Janz. Ammenti’s staff of 15 digital archivists can, on a good day, scan one page a minute once all the equipment is in place. Because of the intensity of the process, however, they only work directly on the manuscripts for four and a half hours, he said. The team uses eight different types of scanners and four varieties of digital cameras to deal with the fragile and rare texts. None is automatic. The project got its kickstart with a $3 million grant from the Polonsky Foundation and posted its first digitized results, a series of 300 14th century German volumes, in January. This entry was posted in Archives in the News, Books. Bookmark the permalink.